Aloha! Wecome to My Site! I hope you sit back, relax, and enjoy my messages. My wife and I went to NY to attend the 26th International Spiritual Training Seminar, where we've had a lot of valuable experiences. I now belong to the Public Information Department at Seicho-No-Ie International Headquarters where I'm in charge of editing our monthly newspapers, the Holy Mission Newspaper, especially covering on the worldwide activities. Although many of our kind friends worried about our trip to NY just one month after 9･11, when I prayed Shinsokan(meditation to realize God) two days before leaving Japan, it occurred to me that NOW is the just time to pray for world peace in the U.S. This thought encouraged me to go to U.S. in a very tight security. During the seminar the lectures enhanced, saying "The world peace comes from the peace of our mind, so we should stop to hate anyone, even the terrorists." It isn't an easy task to put this into practice, but we should do. I'd like to keep this in mind and pray for world peace both in Japanese and English everyday. And what impressed me most was the fact that almost all attendee take these attacks so serious and they thought they wanted to dedicate whatever they could. 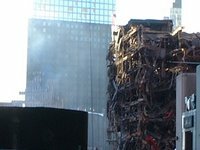 It seemed to me that the Spiritual Brothers and Sisters in NY unite perfectly at one through these accidents. However, they were not only serious but also cheerful, bright and kind. Especially Brazilians were very good at expressing joy and happiness. Rev. Hiei Ando, an ordained minister, taught us to say "thank you" with emotion in his speech. After coming home, my wife and I immediately tried this at home. It was very effective. We are getting to express more gratitude each other than before. 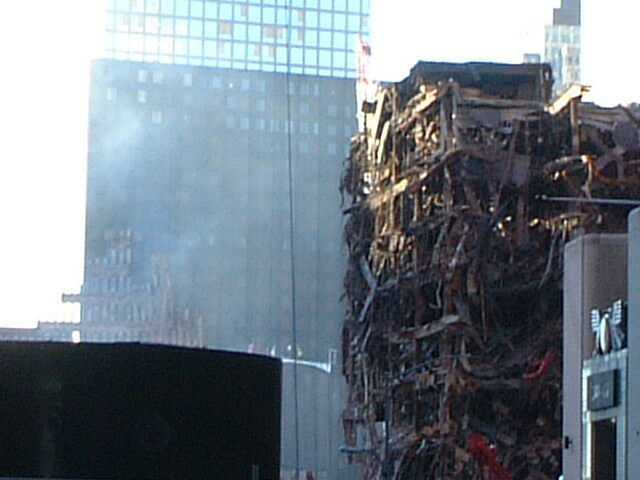 The next day of the seminar, we went to the Ground Zero to see the devastated buildings with Rev. 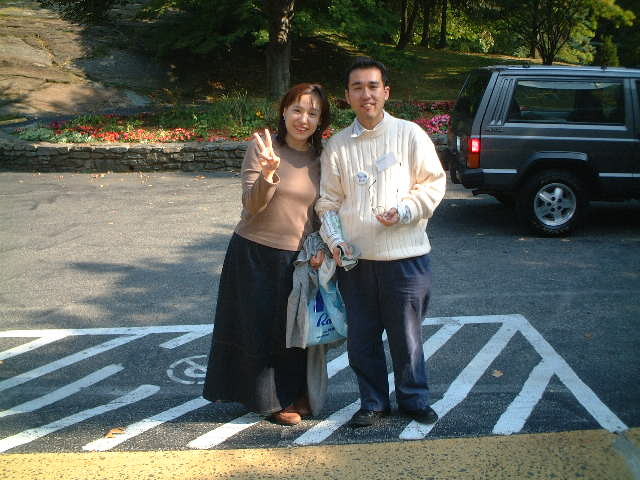 Mario Kawakami, Chief of California Missionary Area and Ms. Katsuko Suzuki, a SNI follower in NY. While praying for victims and world peace, I strongly thought all I should do is to propagate this teaching much more. Thank you very much for God, ISTS, NY and the U.S.A.!